Is a nation-wide handgun ban a necessary restriction on individual liberty? Senseless gun violence shook Canada on multiple occasions this summer, thrusting the issue of tougher and more restrictive gun laws back into the public conversation. Municipal governments in both Toronto and Montreal have declared a call to action. The federal government now plans to study the possibility of a full ban on handguns and assault weapons in Canada. But what action, if any, should the federal government take? Is a nation-wide handgun ban a necessary restriction on individual liberty? Firearms owners in Canada often possess firearms for more than just protection. Target shooting, collecting and wildlife hunting are all legal reasons to own guns. These types of use unquestionably generate economic benefits for our country. Canadian citizens can only obtain a handgun licence if they are a target shooter, a collector, or need a handgun in the course of their employment. It is important to note the debate around guns is very different in Canada than the United States. Justice Peter Cory of the Supreme Court of Canada commented on the distinction in the case of R v Hasselwander,  2 S.C.R. 398 when he wrote, "Canadians, unlike Americans do not have a constitutional right to bear arms." More recently, the Canadian Supreme Court described gun ownership in Canada not as a right but rather a heavily-regulated privilege. In the case of R v Wiles,  3 S.C.R. 895 Justice Louise Charron remarked, "The state interest in reducing the misuse of weapons is valid and important. The sentencing judge gave insufficient weight to the fact that possession and use of firearms is not a right or freedom guaranteed under the Charter, but a privilege." As a result, not just any Canadian can own a gun. To legally buy and own firearms and ammunition, you must be at least 18 and have a firearm Possession and Acquisition Licence (PAL). Canada also requires residents to pass a written and practical exam. After these exams are completed, the applicant must pass a detailed background check which can consider an applicant's mental health and domestic relationship histories. Contrary to what some believe, a PAL doesn't allow you to carry firearms for self-defence. Most handguns are classified as "restricted" under the federal Firearms Act. Owners of restricted firearms need registration certificates from the federal government and special permits from their province's chief firearms officer to transport their weapons. Transport and storage of restricted firearms is heavily regulated. Proponents for strict gun laws and handgun bans often cite statistics. Some appear to suggest a recent spike in hand gun-related crimes. Statistics Canada reported that "More than half (60%) of firearm-related violent crimes involved handguns in 2016." It also declared that "in recent years, firearm-related crime has been increasing—while most other types of crime have been on the decline." The Canadian judiciary has also commented on gun violence as a growing societal problem. 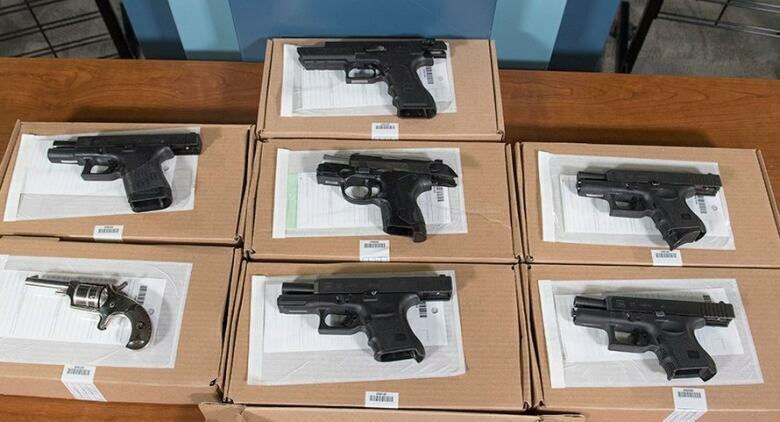 More than 10 years ago, Ontario Superior Court Justice David McCombs said, in the February 2008 bail decision of Awet Zekarias, "Guns have become a scourge in our community. People have become justifiably fearful that gunfire may erupt at any time, even in crowded popular areas frequented by law-abiding citizens." These comments read as ominous foreshadowing of this past summer. Handgun use in violent crime is reportedly increasing. Human lives are certainly worth more on balance than the social benefits associated with sport shooting, collecting or a feeling of personal safety achieved through gun ownership. So we can solve the hard problem of increased gun violence — particularly handgun violence — by banning the lawful ownership of handguns. Easy. Pass the law already. It is often said that "hard cases make bad laws." While a total handgun ban makes sense on a superficial level, many lawful gun owners are appropriately skeptical that such a ban would be anything more than symbolic. I suspect that almost all of those same lawful handgun owners would happily turn over their restricted firearms if they truly believed that banning these weapons would actually solve the gun violence problem and actually save lives. Emphasis on the lawful. The reality is that violent crime involving firearms will often be committed by non-lawful gun owners. It often involves illegally possessed weapons. While there is always the possibility that lawfully owned guns will enter an illegal market, either through theft or illegal sale, one wonders how we can drain the Canadian streets of illegal handguns and millions of other firearms once the legally owned handguns are banned. Is the pool already too big? A reported 839,295 restricted firearms were registered to individuals or businesses in Canada in 2016, according to the RCMP. This obviously doesn't include the underground restricted weapon market. 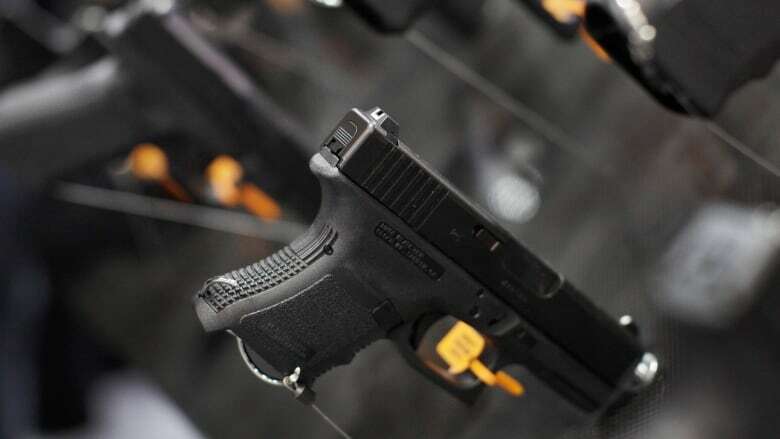 Tracking the numbers of illegally possessed handguns is impossible. Those familiar with the gun-control debate have also heard, "the only thing that can stop a bad guy with a gun is a good guy with a gun." So would banning lawfully owned handguns actually contribute to the problem? The handgun ban may also have little effect on gun violence generally. Surely those desiring to shoot someone with a handgun could use a different gun if a handgun was not readily available. Although handguns are easy to conceal and store, many traditional long guns can be easily modified and "sawed off" to — illegally — make them more concealed. Zip-guns or homemade firearms, like the one used recently in downtown Saskatoon, are also easily fashioned by criminals. Senseless acts of gun violence — like all senseless acts of violence — are a rogue element of our civilized society. Incidents of senseless gun violence have become a depressingly regular occurrence. The federal government is appropriately reviewing gun laws to determine if changes can actually improve overall community safety. Unfortunately, like all politically charged debates, voter opinion can influence the ultimate decision. Finding a solution to these issues will not be easy. it will require open minds, something we rarely see during gun debates. It would be nice to see the government ignore the polarizing rhetoric on gun control and individual gun-owner rights and make only necessary and measured amendments to firearms laws — ones that seek to actually improve the lives of Canadians and not simply appease voters. I suspect that those who believe the obvious solution to increased gun-violence is banning handguns may find that, like most "obvious solutions", it is not a really a solution at all. Brian Pfefferle is a Saskatoon criminal lawyer and sessional instructor at the College of Law at the University of Saskatchewan.